This is part two of a trilogy, The Neapolitan Novels, and after I read the first book, My Brilliant Friend, I kept my eye out for The Story of a New Name. Ferrante writes with incredible energy and passion about two friends: Lila (sometimes called Lina) and Elena, growing up in a neighborhood of Naples. Ferrante’s psychological insights about the nature of friendship drive this riveting story. The first novel starts in the 1950s, with the two girls in elementary school, where they are drawn together by their academic brilliance, but driven apart by the competition between them. The story is told by Elena, who often has difficulty understanding why her volatile, ambitious friend behaves the way she does. That often puts the reader in a knowing position, watching and waiting for the proverbial other shoe to fall. The two novels are filled with the details of life in their poor neighborhood; all Elena’s and Lila’s friends want to do better than their parents, but they are often stymied about how to make that happen. Opportunities are just opening up after recovery from World War II but for the women it’s still difficult to believe they have choices beyond marrying early and having kids. Elena wants more and fights for the chance for education and a career; Lila wants more as well, but takes a different, more traditional road. She can’t extricate herself from the old expectations and this has devastating consequences for everyone who comes in contact with her. She’s a force of nature and one of the most fascinating literary characters I’ve encountered. Warning: book two has a cliffhanger ending that brings the reader up short. After spending time with these characters it’s hard to wait for the final volume. I’m haunted by both women–Elena’s choices, Lina’s increasingly desperate decisions. I just read this biography for my nonfiction book club and we had such a great discussion—one of our most memorable. Only a few of us had known about Fuller beforehand and one of our burning questions at the end of the evening was why she isn’t better known. Fuller was associated with the Transcendentalist movement and was closest with Emerson from that group, but also William Ellery Channing, Thoreau, and Hawthorne. 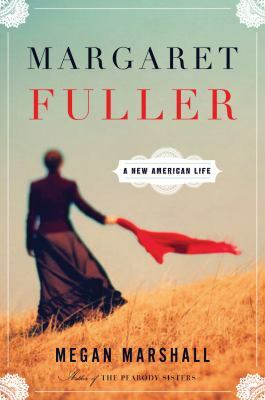 Fuller’s father, a frustrated Intellectual if there ever was one, tutored her in Latin and Greek as a young child, and taught her how to think on her feet and express herself in well-reasoned arguments. Equipped with such an unusual education for a woman of the time, and craving intellectual companionship, she was fit only for the company of her equals, all of whom were male. They acknowledged that she was often the smartest person in the room, but didn’t know what to make of her—women in the 1840s just didn’t behave the way she did, full of confidence in her own abilities. She had an on-again-off-again intense friendship with Emerson–was he jealous of her abilities or was he just unable to sustain close relationships? Margaret was often deeply unhappy with a life of such apparently limited opportunities but always came back to the belief that she was mistress of her own destiny and forged on. She was a terrific writer, often prescient about social and political issues in the U.S.; there were many quotes in the book that stopped us in our tracks for their timeliness. Horace Greeley (bless him!) hired her to write a cultural column in the New York Tribune; it ran on the front page and was often her sole source of income. She eventually traveled to Europe where she became good friends with Mazzini, who was spearheading the Italian independence movement; she married an Italian soldier and had a child. The end is sad—she died at an early age, along with her husband and child when their boat sank off Fire Island on their return voyage to the U.S.
What would her life have been like on her return? Her family and peers would certainly have felt that she married below her station—would they have accepted her barely literate Italian husband? The organizers of the 1848 Seneca Falls Convention were eager to have her there to address the delegates; unfortunately her death prevented that, but they recognized her importance to the fledgling suffrage movement. Maybe she would have found acceptance and a new cause there. We’d like to think so; she deserves to be a heroine. I’ve only scratched the surface here in describing this excellent biography. You may find the book a little slow at the beginning as Marshall describes Fuller’s early years, but that’s not to criticize the writing. We need the description of Fuller’s sad and lonely childhood to understand where she came from; once she’s out on her own, by her mid-teens, it’s a riveting narrative. Last spring I listened to The Song of Achilles by Madeline Miller (read by Frazer Douglas) and was enchanted. Normally I delete the books I listen to once I’m done. I just can’t bear to let this one go. I know I’ll listen again. I’m a classics junkie–I studied Greek and Roman history, literature, and art in college and was one of those kids who thought the Greek and Roman myths were the best stories ever told. Miller’s retelling of the story of Achilles and Patroclus had me riveted from beginning to end. When I had the chance last week to hear Miller speak at the Center for Fiction in NY not even Achilles’ scary goddess mother Thetis could have kept me from going. I had the chance to ask a question about how she managed to create such a frightening character as Thetis and also to tell her how much I enjoyed the book. Miller retells the story from Patroclus’ point of view and in her hands it becomes a heartbreaking love story. Knowing how it ends doesn’t at all detract from the beguiling pleasures of the trip. Miller takes the mythological and Homeric material and shapes it to her own ends. The way she gives personality and motivation to characters like Thetis, Chiron and Briseis, for example, only heightens the tension of her narrative. At the Center for Fiction, Miller talked about the process of writing the novel, how she “set the moment of Patroclus’ death on my horizon and wrote toward it.” She spoke about some of the decisions she struggled with: whether to include the gods and how to end the novel after Patroclus’ death. She talked about how “generous” the Homeric material is, how much it gives a writer to work with and how she often returned to the Iliad for inspiration. 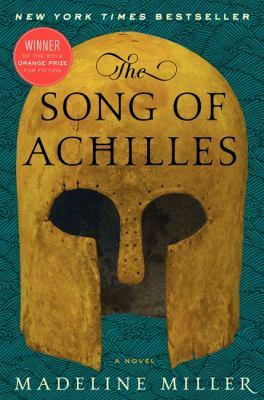 In the first chapter of The Song of Achilles, Patroclus, then a young boy, is sent off to a gathering of the Greek kings, where Helen is asked to choose a husband. One of the kings, as yet unidentified, begins to speak. Listening to it, I gasped in recognition: the speaker was Odysseus, there was no doubt. At that point I knew I was in for a great listening experience. Miller told me that she’s working on a novel about Odysseus; I’ll be watching for it. Just a note about the audio version–it was wonderful. The reader, Frazer Douglas, creates voices and personalities for all the characters. His tour de force is Thetis, Achilles’ mother, a minor goddess. Even a minor goddess is terrifying to mortals, and Douglas had me scared each time the angry and vengeful Thetis appeared. I’m not quite sure how he did it, but I was truly frightened. At the Center for Fiction, Miller talked about the power of the gods, how encountering a god was never a good thing for a mortal and how she tried to write that into Thetis’ character. After her talk, I told her that I thought she’d be happy with the way Douglas portrayed Thetis. I was snowed in this past weekend–we had an unusual 2 feet of snow–and I was lucky to have several fat novels and memoirs waiting for me. I chose to read A.S. Byatt’s new novel The Children’s Book, which weighs in at 675 pages; it kept me completely absorbed for 3 days. It’s a sprawling historical and family saga, set in England in the period from 1895-1919 and filled with a huge and diverse cast of characters–artists and writers; bankers and anarchists; upper and lower classes; children and adults. Byatt does a wonderful job juggling their intersecting lives and tying them together with the fairy tales Olive Wellwood writes for her children and to support her family. At the beginning, the Wellwoods, their extended family and friends all seem like a warm and welcoming clan, but, like Olive’s fairy tales, things are not what they seem. Some of the characters will break your heart, some will make you angry. Pottery, puppetry, madness, the rights of women, and a devastating war all mix together in this absorbing tale. I sensed echoes of the Bloomsbury group–the shifting relationships and fondness for country house parties with elaborate costumes and playacting. Byatt, the omniscient narrator, provides a running commentary on the cultural and social changes in this era. 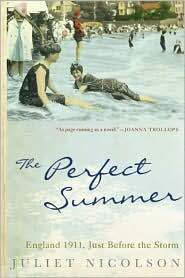 If you want to know more about this period, I would recommend The Perfect Summer: England 1911, Just before the Storm by Juliet Nicolson. It’s an engaging romp through social, cultural, and political events in England in a pivotal season. Byatt’s story exists very much within its time period and it made me think of memoirs I’ve read of English childhoods throughout the twentieth century. Click here for an annotated list of titles. The albino frog on the cover of Douglas Rogers’s book The Last Resort: A Memoir of Zimbabwe is barely keeping his head above water. The same can be said for Rogers’s parents and their friends, who carry on despite constant threats of violence and loss in a country that no longer wants them. Rogers grew up in Zimbabwe, on various farms his parents owned, but he’s been gone for some time, working as a journalist and travel writer in London and New York. His parents stayed on, living at Drifters, a popular backpackers’ lodge and game farm that they ran successfully for many years. In the current political situation, with the government encouraging blacks to freely appropriate white farmers’ lands, inflation running at thousands of percents daily, and gangs of thugs terrorizing blacks and whites alike, the country is in shambles. It’s clearly unsafe for Ros and Lyn Rogers to remain where they are. It’s also clear that they’re not going to give in–Zimbabwe is their home. Rogers writes about his frequent trips back to Drifters to visit and each time there’s new and fiendish turn in the already-nightmarish situation. The lodge turns into a brothel, then a hangout for illegal diamond dealers; the cottages that used to hold vacationers are now rented to friends who have been dispossessed. Government ministers and spies move into the area with designs on the Rogerses property. Through it all, his parents plan and hope, hatching schemes to carry on and survive. It is, after all, their beautiful home. Rogers writes about what it was like to grow up in Zimbabwe; he also writes about the current political situation. But the book is is really Rogers’s poignant and funny tribute to his parents and their incredible resilience and optimism, their love of a beautiful place that was once a flourishing community. The albino frog sits above the coffee pot in his parents’ kitchen, witness to the chaos and a touching symbol of their refusal to be dislodged. When I was growing up, the name “Bellevue” was shorthand for the hospital that took in the crazies. Reading Julie Holland’s new memoir, Weekends in Bellevue: Nine Years on the Night Shift at the Psych ER I learned that it still has that reputation. It’s the place where the police bring the naked guy who’s barking like a dog in Times Square, along with the bridge jumpers, the violent schizophrenics, and the ones feigning psychosis in order to get a meal and a warm bed. Holland, a psychiatrist, was always drawn to the extreme cases and enjoyed working two fifteen hour shifts each weekend to have the week off with her family. Her cool-girl, tough talking exterior served her well, or so she thought, with patients who were verbally and physically violent until she realized she wasn’t coping with the pain those traits masked. My favorite medical memoirs combine good storytelling with insight about the teller; Holland does both those things well. I’ve put together a list of additional memoirs by doctors that I think are particularly interesting.